Your 44th president is turning 56 years old today. The big 5-6! And his wife did not forget. To celebrate this occasion, people are hashtagging #ObamaDay with memories and photographs of the president's time in office. Michelle Obama upped the ante with a birthday message to her husband along with adorable throwback photographs of the family celebrating his birthday in 2004. Look how little Malia and Sasha are! "Another year older, but the same phenomenal guy I married nearly 25 years ago. Happy birthday, Barack Obama— we love you so much!" 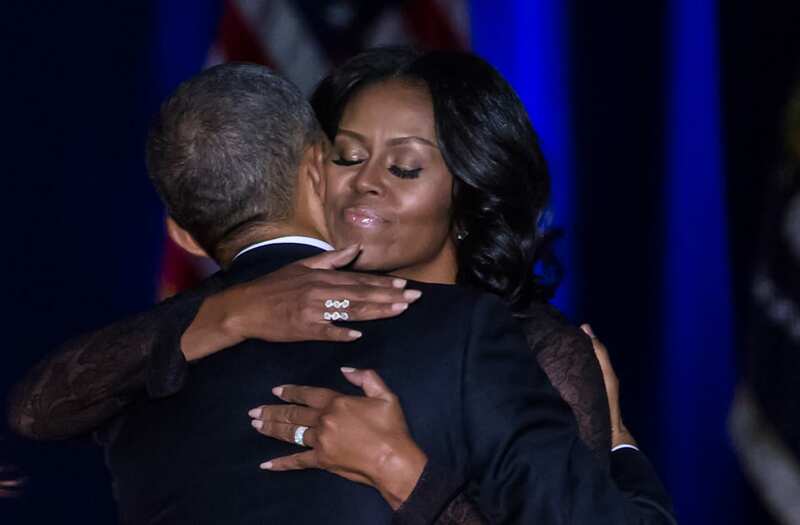 Michelle wrote for Barack's first birthday out of office. Obama is reportedly spending his birthday on Martha's Vineyard, where there's no doubt he'll have some time to golf and relax as a normal public citizen. Cheers to you, former POTUS!